The company is also expecting to use another Rs 150 crore for project site development. Inox Wind is set to take the biggest initial public offering (IPO) in more than two years. The company which is a part of the USD 2 billion Inox group is all set to raise Rs 1,025 crore from the public issue that opens on March 18. CNBC-TV18’s Prerna Baruah caught up with Devansh Jain, director, Inox Wind who spoke on the mega IPO. Jain said around Rs 300 crore will be used to fund working capital requirements. He is also confident of using Rs 150 crore towards expansion of manufacturing facilities in Himachal Pradesh and Gujarat. The government has planned nearly 60,000 megawatt of wind energy by 2022. Adding to the discussion, Deepak Asher, non-ED, Inox Wind said the new government is sending an extremely strong signal for investments in renewable energy. 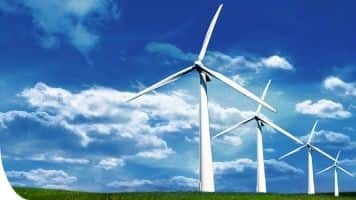 “Historically, even when the sector has not grown significantly in that period, Inox wind has grown 70 percent per annum. If markets continue to expand we expect to maintain an extremely robust growth rate going forward,” Asher added.